Ride the skies piloting a commercial passenger plane. What is Be the Plane? 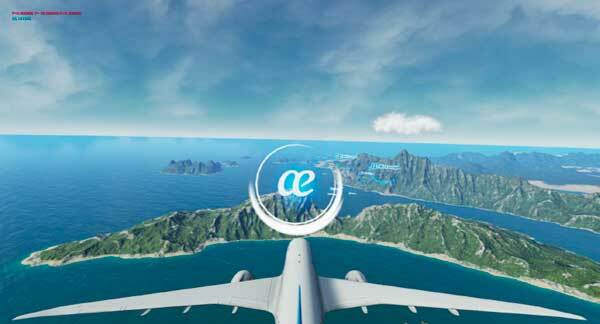 Be the Plane is a simulator that immerses the user in the sensation of flying, piloting a commercial airplane of the Air Europa company through an open world. Thanks to the latest technological advances, the Plaza Mayor in Medina del Campo (Valladolid) has been photorealistically recreated. A military stronghold located in the city faces the zombie epidemic and has erected barricades and established an extraction point for survivors in the Plaza Mayor. 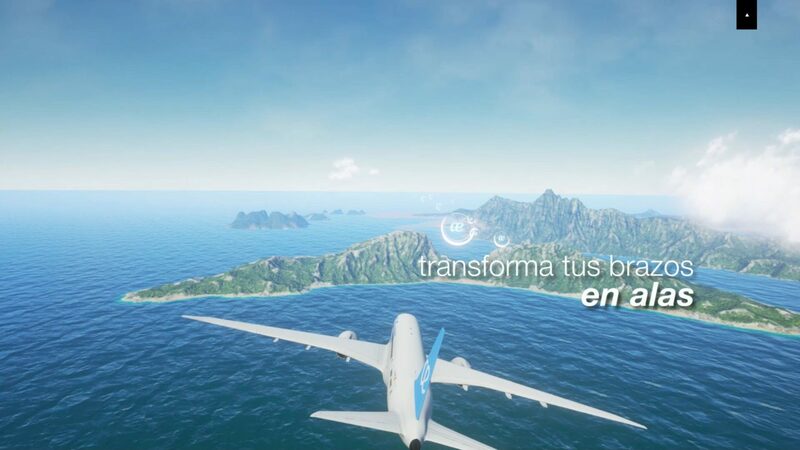 By using two controllers in their hands, which act as wings, the user must fly the plane to an airport, through a defined route in which the user must show his skill by making the aircraft pass through a series of rings that indicate the way forward. The greater the number of hoops crossed and the shorter time (which is limited) the airport arrives late, the higher the score obtained. Time flies.